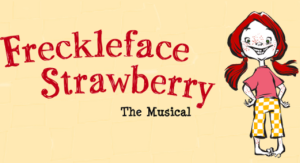 Freckleface Strawberry is the story of a little girl who longs to be rid of her annoying freckles and the incredible lengths she’ll go to to make that happen. It features a terrific cast of faithful friends – Danny, Harry, Jake, Ballet Girl, Jane, Emily, Flora, Dora, Gabby, Lionel, Sarah, and Janelle, as well as the interesting characters they meet along the way – the Fontaine Gang, Mother, Teacher, Tap Dancer, Clown, Baby Brother, Sherlock Holmes and Watson, Lady Gaga, the Crayons, and Guitar Player, to name a few. 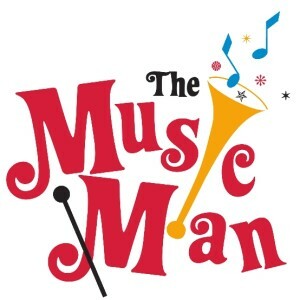 The VSHS Drama Department will be performing this show in April, giving Little Vikes Drama Campers the unique opportunity to see the show and then perform it. Several VSHS Drama students will assist in the direction and mentoring of Little Vikes Drama Company Cast. Little Vikes Drama Camp is sponsored in part by ACT I of Benton County. 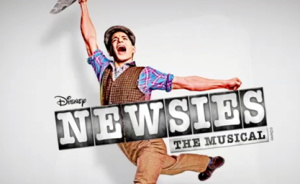 Synopsis: Disney’s Newsies is story based on the real-life Newsboy Strike of 1899. The musical tells the story of Jack Kelly, a rebellious newsboy who dreams of a life as an artist away from the big city. After publishing giant Joseph Pulitzer raises newspaper prices at the newsboys’ expense, Jack and his fellow newsies take action and organize a strike. With help from the intrepid reporter Katherine Plumber, all of New York City soon recognizes the power of young people. Synopsis: In this deliciously funny Southern-fried comedy, the Verdeen cousins of Sweetgum, Texas — Gaynelle, Peaches, and Jimmie Wyvette — are up against the clock as they frantically attempt to produce the ultimate high school reunion before the old building is demolished. But they’ve got a bushel of obstacles to overcome before they can pull off this miracle! Their scramble to prepare the perfect event is interrupted by the exploits of their beloved Uncle Aubrey, and Aunt LaMerle. Chaos is side-splittingly achieved! 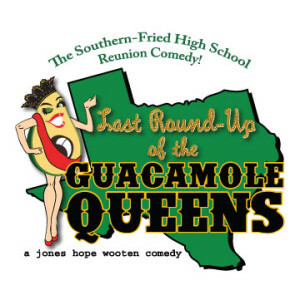 A gut-busting Jones Hope Wooten farce — and a stand-alone play in its own right — LAST ROUND-UP OF THE GUACAMOLE QUEENS is the third and final comedy in the Verdeen Cousins Texas Trilogy that begins with THE RED VELVET CAKE WAR and continues with REX’S EXES. You’ll laugh so hard you might even consider attending your next high school reunion!